Illuminating-uncorking made easy and fun! A wine opener as entertaining to watch as it is easy to use. See the blue light shine through the action window as the cork is smoothly extracted from your bottle and released-with a simple press of a button. The blue light doubles as a nightlight when the corkscrew is recharging. Solid stainless steel body. 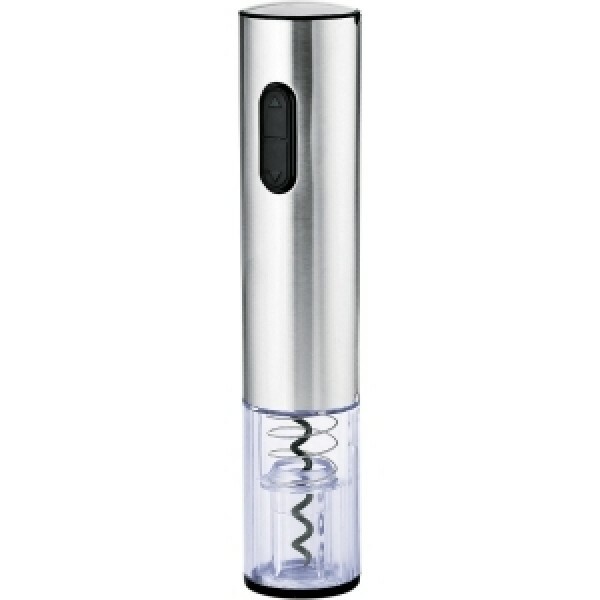 Comes with a foil cutter that also functions as a stand for the corkscrew. 8-hour charge. Includes instructions.